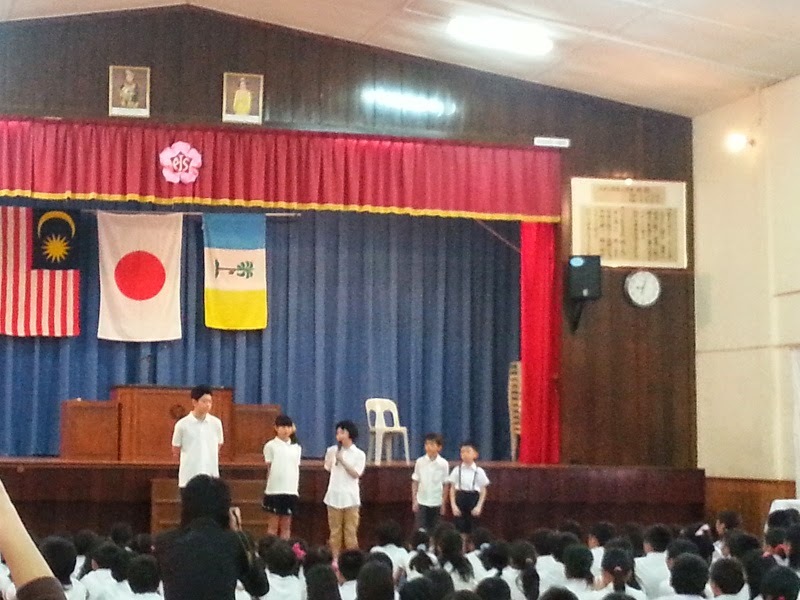 Arata has moved to Penang Japanese School. SCIPS, he studied for 3 years and 1 term, is quite fun but for a quiet and shy Arata, there were not many chances to experience something different.On top of that, most of his best friends have left by last term and Arata was sad during the last term. He has no regret for the new start. The day before the first day, Arata was quite nervous, because he didn't want to introduce himself in front of his class. Well, at the term-first assembly, he had to do it in front of all children! He managed to do it and when he came home he told me he enjoyed his new school. In his class, year 4, there are 20 children but only 5 boys. 2 out of them are friends from Taska Nania and he must have felt quite relaxed. Arata does his homework by himself now! And his Japanese has already unproved. Most of all, Arata comes home with a big smile every day. It's a very good sign!